And also the current president of the Association for Information Systems. I was born and educated in Taiwan before entering the doctoral program at the Wharton School of the University of Pennsylvania, which gave me very exciting learning experience. And then I had the opportunity to teach at the university of Illinois and also Purdue University before returning to my hometown in Taiwan. During my career in Taiwan, I also had opportunity to teach in two different universities in Hong Kong and also travel around the world. I met with many differnt people and learned a lot about the diversity of the culture. The reason I enjoy being an academic worker is because I think it's very important to have creativity. I like creative ideas. I like writing. I like to interact with student with diverse backgrounds. I think this was one of the best careers in the world for me, to get my career and also to learn a lot from other people. My research issues are quite broad that cover a few areas. In my earlier career. I spent a lot of time on conducting research in Artificial Intelligence. I try to study how Artificial Intelligence technology can be applied to business decision making! We call this Business Support System or Intelligent Decision Support system ? Later on, when the internet was opened for commercial purposes, people started buying and selling products online. Amazon was created at that time, and it looked very promising that the internet will change the world. So I started research investigating how people reacted to purchase online and why are people would like to purchase online and what kind of product will be better sold or be more appropriate for selling online and things like that. But more recently, I spend most time working on project, we call the neural information systems. By neural information system, we mean we apply neural science technology to investigate decision behavior, informing system in particular or in business activities in general. So, neural science is a new area. We apply very different kind of neuroscience instruments, such as a functional MRI or brain wave detection or eye tracking devices. We apply those devices to collect the data and to infer what is inside human brains when they make decisions. Instead of relying on traditional questionnaire or interview to obtain data from human decision making, we try to observe directly how human brain react to different stimulants. So we have a few projects related to that, for example, one of my recent projects related to how neuroscience or brain scanning technology can be applied to see whether the personalized recommendations or showing avatar on the screen would change the consumer's reaction with the e-commerce site. So we actually found that the personalized recommendation is more effective than showing avatar online, even though they enhanced the closeness between the e- commerce website and the consumer. So that means the consumer feel more intimate or closer to the website if website provides a personalized recommendation. But only the personalized recommendation can enhance or raise the intention to purchase on that particular website. So that's a very interesting area. So I think intelligence systems or smart commerce and the new information systems would be two major areas with great potential and that what we are doing right now. One is future trend, whether we see a lot of potential in that particular research area, another one would be my own capability or whether I have colleagues or friends would be able to form a team to conduct research. 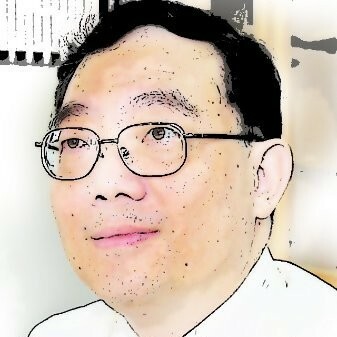 For example, when I was a junior faculty member, I chose Artificial Intelligence to be my major research areas. One of the reason was because my supervisor who advised me that this would be a highly potential area for the future, so I also agreed and also the area was very interesting to me. So when we choose areas, I also usually advice my student on three considerations. One is whether you are interested in it and the second one is whether your adviser is interested in it or whether you have colleagues who are very interested in conducting research in that area. And the third is whether the area has potential in the future. You know, you don't want to spend your time to choose an area which have it only a short time impact. So, like Artificial Intelligence is the area that has a great impact in the long run, and even now it's a very important area and e-commerce, of course, It also has a great impact on the business in general and also for Information System in particular. In my recent choice of neuroscience or neuro information system is also the same because we have been using the interviews and also the questionnaires to conduct our research, which is quite a traditional. They have great imitations in terms of the collecting objective data. So on your site, those instrument provide a good opportunity that we will be able to collect more data or directly collecting data from our brand or our body reaction to various different environment or different impact. So I think that's very interesting and also has a great potential in the future, in the long run. So that's how I choose my decision on my research areas. This is an interesting question, How I determine whether a paper is acceptable or not acceptable! One major criteria, I use is whether has a major contribution to our knowledge or in other words, whether the research issue is important or it's new and whether the findings shed light on inside. So what I usually do when I review a paper, I would look at the topic, read introduction and conclusion and also look at framework on research methodology. So if the topic is not very interesting nor the findings are exciting, then it is likely the paper would be rejected. I would recommend that if the topic is very interesting and timely and also the findings looked like new or add more value to existing knowledge, then I would look into the research methodology to see whether the research method is rigorous enough to support the findings. So those are in general, how I look at the papers. Well, in terms of how can authors improve the chance of getting their papers accepted. I think the first important thing is really to choose a valuable topic, you know you choose a good topic and the fighting is exciting, like I said, the chances of being accepted will be high. Of course, research method would be also important. You want to make sure your research method is valid and is rigorous enough, otherwise, you know, still would be highly likely to be rejected. So I think those are what I would do when I get a paper to review or recommend for recommendation or rejection. Research gaps exist in different ways. I would look at it from two different directions. One direction is the evolution of the information technology. So we always see new technologies coming in. And those new information technology would create new research issues and opportunities. So that's one direction that we can look at the research gap. The second one would be related to methodology and the theories. So we have new methodologies for conducting research. Like I said before, I'm interested in applying neuroscience technology to investigate, research issues in information systems and in business in general. So when we have the new methodology, we would be able to collect the new data to verify what we couldn't see before, using the traditional methodology. For example, I am using the neuroscience approach to investigate a phenomenon called escalation of the commitment, which is a human decisions to buy. We already have a few studies that used to interpret the phenomena of commitment, escalation of commitment. But giving the neuroscience technology or functional MRI will be able to scan the brain to either verify or define existing theories that will help us to better understand the phenomenon or better interpret or predicting the phenomena so we have a lot of opportunities. Either from the evolution of technology or from the changes in methodologies and the methodology would also lead to new theories and new research issues. What approaches have you found to be effective in working with various grant-making agencies? What common mistakes researchers do while applying for grants and funding? From funding agencies, I think that is an interesting issue for most of junior faculty members. I have grants from industries as well as from government in the United States and also in Taiwan, of course most of it is in Taiwan. But I think, in my experience that the first important issue is to know exactly what the funding agencies are looking for. What kind of projects or what kind of research directions they are interest in. Otherwise, you know you are wasting your time. There are several ways to collect information about what they're looking for. One would be getting information from those who received the grant before from the same funding agencies. Another one would be to contact the window if possible who's for more information. Once you know exactly what they're looking for, then you need to assess whether you are capable to delivering the project, or the certain project you are interested in doing meet their strategic focus, so that would be another. The second one to think about, to me, I usually contact the window first to make sure I understand what they're looking for. And then, I would look at my previous research performance to see whether I have a track record that would lead him to believe I would be able to deliver what they are looking for. If it is a good match, I would maybe make a proposal. Otherwise, you know I would look for other opportunities. It also relates to the scale of the project. So for example, my recent project, which is a million dollars, US dollar project from the ministry of education and also the need to organize a reliable team. The team with a good reputation and the previous performance to convince the government and that you know research center will be able to deliver what they are looking for, and we'll be able to generate impact on society in general. So it depends upon the level of the project and also whether the project meet your capabilities. A major mistake that that you want to avoid is to just a make a proposal, try to sell what you know to various different agencies. The success ratio would be low, and in some cases, that would lead to a very bad reputation. So that's something that I think a junior faculty member may need to avoid. What suggestions would you give to a faculty member who hopes to start a new research center or set up a new lab? There are a few key elements for setting up a research lab or research center. I think the first one is the mission. Why are you doing this? The second one would be the funding. Where can you get funding and the third one would be the team. You know, whether you have enough faculty members, enough graduate students, who would be interested in conducting research or working together at the research center. So, I would use my experience. I started the e-commerce research center about twenty years ago. The reason that the center was set up was because the government had funding, a substantial amount of funding and looking for proposal. And the e-commerce was at the beginning and I was very interested in conducting research. And we had a few graduate students, doctoral students who were also interested in that and the faculty members interested in that. So we put together a good team with very good research performance. And also, we put together a proposal to apply for the grant. Fortunately, we got the grant which was a million US dollar grant. So, the center got the funding, and then we started our center and we had enough resources to deliver, what the government was looking for and what we were interested in. So the center started and from then we have received one, two, three, four, four major multi million US dollars grants, all related to electronic commerce from the government. And also, we formed an industry alliance. We have more than twenty industry partners, Who are on alliance to support our research center. So well, now we have around twenty five faculty members and over a hundred graduate students under the supervision of those faculty members. And we have our funding to support those graduate students and faculty members for travel, for conducting research and collecting data and things like that. So, for new faculty members who would be interested in forming a research center, I would say that first you need to think about why you are doing this and then the second one would be where you get funding, and the third one would be. How can you attract faculty members or graduate students to participate in this research center to deliver enough research performance. There are a few ways we usually used to interact with industries. The first one is that if we are invited to deliver a speech at a petition oriented forum or workshop, we were take that opportunity to tell them what we know, what we can do and also to know what they are looking for, to see whether there's a match, so that we'll be able to do something for them and they provide the funding. The second approach that we usually use is to attend a practitioner oriented event. We are invited because of our former students or because of some other connections. If we are invited we will be able to know, interact with them and know what they're looking for and also communicate with them. You know what we can do for them and whether there's a match. The third one is that our research center, we organize practitioner oriented workshops every other month. We would run five to six workshops to invite the practitioners to come over. And also our faculty members would present what we know or sometimes we invite outside speakers to tell, to share their knowledge with our industry partners and our faculty member will be able to attend that. After the event, we usually host a dinner and our faculty member would be able to interact with industries, share our knowledge and also to know what they're looking for, whether there will be an opportunity, a match where we would be able to create a project. Those are the three major approaches we regularly use to link with our industry partners and also to find new opportunities, to fund our projects and to support our industry partners. We accept the doctoral students and also hire post doctoral researchers. We look for two major dimensions. One is the attitude and other one is the professional knowledge. In terms of attitude, we want the person to be very enthusiastic in doing research. So the passion is the most important criteria for us. If the person has a good high passion then we believe that person would be able to deliver or achieve what they are looking for. And the second one is the professional background, whether the background match our current research direction and research interest. For instance, we currently have a smart e-commerce project, so if the person has technological capabilities, or has enough knowledge or adequate knowledge related to our research project, the student will have a higher probability of being selected and that of course of that off course will have a higher probability of being hired. Well in terms of how much we pay to doctoral students or the post doctoral researchers, well it really depends upon their qualifications when we hire a post doctoral researchers. For doctoral students, we have a monthly stipend of around one thousand to one thousand five hundred US dollars, if they are admitted on also help faculty members to conduct research projects. It could be more if the performance of the student is better because we don't call it bonus but we have incentive program, so if they publish good paper then they would get certain amount of the reward. The reward is not really that much, but it is an incentive to help students who better research. And we support our doctoral students to a minimum of five, three years and the maximum to six or seven years depending upon the grant availability. But three years is usually guaranteed. While searching for a topic for your dissertation, I would pass the three criteria. My adviser told me the first one is that the topic need to be of interest to you. You know you don't want to do something that you are not interested in, you're not going to get a good result. The second one is that the topic need to be of interest to your adviser, because if the topic is not of interest to your adviser or your adviser doesn't have a good track record or good background knowledge on that particular topic, adviser would not be able to help you much. The third one is that the topic needs to have a future potential, because dissertation is the project that you spend two, at least one year maybe three year on that particular project. And you would like to be able to continue with that project upon graduation, and maybe in the first three or five years, you can continue to do research around that project. Because otherwise, if you need to start a new project every year or every other year, it has a lot of setup cost. It is not wise for a junior faculty members. Of course, you know how to find a topic, it varies from person to person, from time to time. My advice is that it's good to find a timely topic. The topic that is popular for the time being and also is evolving and has the potential for the future, at least for the future five years and that would be a good topic. If you do research on that and invest your set up costs, a setup time and the effort, you will be able to continue doing that four, maybe five to six to ten years, that will be great for your career and also doing research on a timely area also helps you to find your job when you enter your job market. For example, you know in recent several years, big data and analytics is very popular, and then it could still be popular for a few more years and now intelligent systems or the artificial intelligence becomes a new topic and if you enter in this area, it could have you maybe after three years or you graduate, you would be in a better position on finding a good job. Our bachelor program is a mixture of the technical and managerial training. So we offer quite a few technical programming courses so that they will be able to write programs. So those graduates, some of them would continue in their graduate programs. This is very different from that in the United States or in some other countries because in the United States, most undergraduate student would find job rather than entering the graduate program. But here in Taiwan, a substantial portion of the students would go on to enter the graduate program and get the masters degree before entering the job market and for those, who decided to skip the masters program and entering the industry directly, most of them will start their first job as a programmer, I believe. So they write programs for software companies or they would enter a traditional industry, manufacturing industry or service industry to be an IS professional, work in the MIS department and many software system or help to run systems like ERP or customer management, things like that. Well, we do have graduate programs. We have rather big graduate programs. Our graduate programs are MBA and also an MS. I would rather focus on MS program. The MS program, we have several concentrations. One is regular MIS, traditional MIS program and the other one is e-commerce program and the third one would be service science. The regular MIS program trains students as a traditional IS manager or IS professionals. The e-commerce and the business analytics program would train students who are interested in business analytics and also e-commerce. Their graduates will usually find jobs in e-commerce companies and the third one, the service science program which was established about ten years ago when service science became popular. Those students they would analyse the business process, try to find how can information technology be used to do help industry to innovate their product, their process, their service and so forth. So we have three different MS programs and then MBA program would be quite similar to those in the United States. Those are the graduate programs that we offer.